On the back of what many people believe to have been a sub-par championship, last week’s proposal by the the GAA’s standing committee to trial new rules in Gaelic football was a landmark moment for the game. While not universally acclaimed by everyone, the idea that the authorities would come together to try and improve the sport as a spectacle has to be welcomed. There have been numerous instances of unwanted developments in the game in recent years, and it’s a positive movement for games development committees to try and fix that. Here’s a thought though. If they could propose new rules for football, why couldn’t they do the same for hurling? Now, I know, I know, I know. Haven’t we just had the best hurling season in living memory? Have we not just seen the most thrilling, unpredictable climax to a season in many years? But at the same time, were there not some moments throughout the year that made you ponder “Hmmm, I wonder could it be a little better?” Now don’t get me wrong, hurling’s not broken. There’s no need to completely fix it. But there may be scope for tweaking it just a fraction and making it even greater. Ready to hear me out for a second? Ok, here goes. 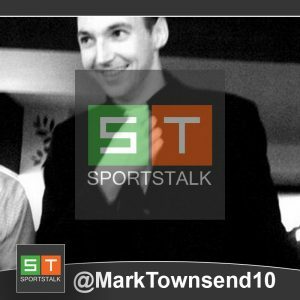 In the, supposedly golden age of hurling in the 90’s, the average amount of scores in the 10 All-Ireland finals was 31.2. Now, over the course of this decade, the average in finals stands at 41.67. Not only that, but in the two drawn semi finals of this year, there were 130 scores in 180 minutes, for an average of more than 50 scores per 70 minutes. So more scores in any sport is automatically a good thing, yes? Well, not necessarily, no. One of the greatest attributes of our game is those awe inspiring passages of play, where balls are swept down from one side of the field to the other a la a classic tennis rally in Wimbledon. But nowadays, while the umpires are waving their flags more, paradoxically, the ball seems to be in play less. Ah, now this one’s been around for a while. Perhaps this is something which has been buried amidst the midst of times, but just like Rugby benefited massively as a spectacle from increasing the reward for scoring a try from 3 to 5 points, could hurling not be given another lift? Is there a more thrilling site than a full forward plucking a ball from the air a la Tony Doran or Ray Cummins in the past, then turning and banging it into the net? And would a greater reward for such an action not automatically lead to more people attempting it? Perhaps no-one is willing to embrace it, but if the sweeper trend, which we have seen in the last few years, continues, then maybe an extra advantage for a major could increase the number of goals we see, and boost the game’s popularity still further. Nearly 4 years ago St Mary’s of Clonmel in Tipperary came up with the idea of trying to reduce the number of steps taken in hand by a player in possession from 4 to 3. It seemed a somewhat strange idea at the time. Does hurling really have a problem with the amount of steps that players take? Then you see Ger Aylward take 15 steps en route to scoring a goal in the Leinster Final replay this year and figure “Yeah maybe, those guys had a point”. In addition Tom Morrissey took 9 steps in scoring his goal for Limerick in this year’s All-Ireland final. Another Tipperary man, Sean Flynn (@Flynner2011) composed a study on the amount of over-carrying done in two championship games this year and figured the offence was committed an astonishing 84 times over the course of them. With number such as this, it’s no wonder the policing of steps should be one of the highest things on referees’ agenda. To those of a certain vintage (mainly anyone under the age of about 25) the idea that ground hurling was ever a “thing” is probably about as laughable an idea as that there was a time when there was no internet. But for anyone old enough to remember the Offaly hurling revolution of the 90’s ,the demise of ground hurling is one of the most lamentable losses of the modern game. Nowadays, perhaps due to the evolution of Cork’s possession based side of the 00’s, the idea that anyone would blithely pull on a ball in the middle of the field to no-one in particular, seems lunacy. And yet, the obsession with getting ball into hand has almost certainly contributed to the massive increase in the number of “rucks” developing in the game in recent times. Look back on the old videos, and the idea of players bunching together ten or twenty times in a game was pretty much unheard of. And the swift release of possession that was a ground pull, was, more often than not, the reason for that. Not only that, as Fergal Whitely demonstrated for Dublin against Kilkenny this summer and John Fenton most famously in the past, it can be very effective too. 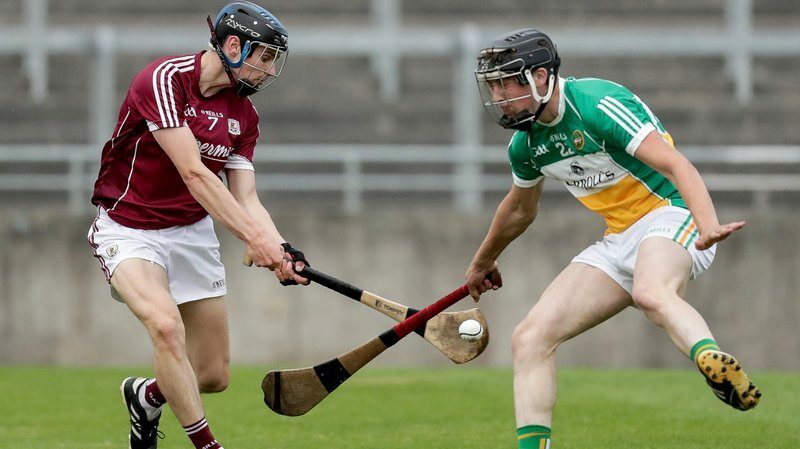 Nowadays the only real ground hurling we have become accustomed to is the awesome sight of Joe Canning, Ronan Maher etc, striking over a sideline cut from 40 or 50 yards. It’s a wonderful image, one that some people deem worthy of two points. It shows the unparalleled beauty of ground hurling. How sad then, that we so rarely see it in open play. If the ground pull is something which-like wide legged jeans-has seriously gone out of fashion in the last 20 years then the handpass, like skinny jeans, has had a remarkable upsurge popularity in the past 2 decades. Now certainly, the handpass can be an effective option. But there are times at least, when it’s a tactic that seems dreadfully overused. Is there a more infuriating sight in hurling, than a man in space,handpassing inexplicably to a more disadvantageously placed teammate? In addition to this, the last number of years has given rise to any number of illegal handpasses going unpunished by referees. It’s not in any way an exaggeration to see ten or more “handpasses” AKA throws, be waved on throughout a game. We know the referee’s job is difficult as it is, but if we need other officials, like linesmen or umpires, to clamp down on illegal handpassing, then so be it. A no-brainer this one. Which is the best television station for GAA out there? On a pound for pound, or euro for euro basis, it’s got to be TG4 hasn’t it? And yet, when it comes to summertime, when RTE and Sky Sports finally realize that hurling exists and parade their tanks into town, the opportunities for the Gaeilgoir channel to show quality GAA action is notably diminished. But it doesn’t necessarily have to be like this. And, when it comes to certain GAA competitions, it most certainly shouldn’t be like this. Take for example, the Joe McDonagh cup. Last year’s inaugural competition was a superb success as 6 exceptionally, evenly matched teams (with the possible exception of Meath) battled it out for success. And yet, for all the attention, the admittedly jam packed Sunday Game paid it, you would doubt it even existed. But what if TG4 had the rights to it? And what’s to stop such a station showing all the quality inter county games (and in May and June in particular, there are plenty) that were not being shown on RTE? There certainly is enough content there to make a success of it. Last season’s final was played, abhorrently, at the same time as the Munster hurling final. That’s not the respect the competition deserves. But TG4 could give it respect and validity. And with second tier counties struggling for every bit of exposure they can get it, such attention is not only warranted, but badly needed.